Hosting large public events can truly be fulfilling, especially when you see your plans fall into place. However, it can also be stressful—from initial preparations to properly disposing of the rubbish left behind. If you do not employ proper event waste management, negative news will rapidly circulate and will affect public opinion regarding your hosting abilities. That is why you have to take event waste removal seriously. Of course, as an event organiser, you would want to make your waste removal duties a lot easier. So, we’ve prepared some tips that will help you efficiently manage your rubbish during events. Regardless of the type of event you are hosting, you will still end up with a lot of waste. Without proper planning, it would be difficult for you to get rid of the rubbish. Whatever sort of event you are organising, it is important to ensure that there are enough waste bins around the venue. You have to strategically place them in areas where people won’t have a choice but to drop their rubbish inside the bin. It would also help if you properly communicate where the bins are. You can put print banners and display signs directing people where they can throw their rubbish. You can also run public announcements, encouraging the guests and attendees to keep the venue clean and properly dispose of their waste. Environment-friendly waste removal practices have become a hot topic these days. More and more companies are contributing towards a more eco-friendly way of managing waste. As someone who’s organising an event that can potentially produce a significant amount of waste, you have the same responsibility. So, you must prepare a clear plan for separating non-recyclable and recyclable rubbish at your event. One of the options you can take is having separate bins. However, event attendees might consider this a hassle and would most likely put the rubbish in the wrong bin. A better option would be to contact a rubbish bin hire company that practices ecological waste disposal. Most skip bin hire companies typically deliver the waste to a licensed sorting facility where the rubbish will be salvaged for recycling, redistribution and re-use. One important factor in event waste management is the type of access you’re giving to guests. Are the general public and passers-by free to access your event, or is it only restricted to attendees who are willing to pay a registration fee? You have to take this into consideration because open or restricted access can affect the type of waste you can expect in your bins. For events with open access, expect people to come with all sorts of waste, including cigarettes, water bottles and chewing gum packaging, among many others. These will end up in your bins, disrupting your event waste management plans. It goes without saying that you can expect your recycling bins to be contaminated by non-recyclable waste. On the other hand, you will have more control on the waste with events with restricted access. For instance, if you have a security perimeter for your event, you can prevent certain types of rubbish from entering the venue. The good thing about this is you will have a better idea of the type of waste you can expect. You can keep waste materials like plastic bottles from outside your event venue. Consequently, you can expect a more efficient event waste removal procedure. After determining the types of waste you can expect, don’t forget to hire a junk removal Perth service for a more convenient way of getting rid of your rubbish. Make sure that you book a bin from a trusted rubbish bin hire company prior to your event so they can deliver and place them in your preferred location ahead of time. After your event is done, you can wheel all your bins into skip bins and dump the rubbish in there. The great thing about bin rental service is that you can take your time in managing your waste. You can hire the bins for a period of four or seven days. Once you’re done filling the skips, they will pick them up and take them to a licensed sorting facility. All your event waste management woes end there! The first thing you have to do is develop a plan that can reduce your waste coming from areas accessible to the public, as well as from restricted areas like the kitchen and backstage. Think about the tasks that can possibly generate more rubbish. For instance, for tradeshows, flyers and paper materials can be a big issue. Go digital in the communication and marketing department to reduce your paper waste. Take advantage of technology by putting up online registrations, conference websites, downloadable marketing materials and interactive displays on-site. Ask presenters to minimise their paper usage by uploading their materials online. Ask for the cooperation of food vendors in your mission to reduce your waste amount. Encourage them to use portion control to lessen food waste. You can also ask them if they can donate excess food to the less fortunate. Opt for food vendors that use washable silverware and plates instead of disposable ones. If printing materials cannot be avoided, opt for recycled paper and use vegetable-based inks. Remember to print on both sides of the paper. Have kiosks in the event where attendees can download the materials. What’s even better is to provide the guests with WIFI. If you’re decorating or styling the event, opt for items that can be recycled or reused. For instance, go with plastic flowers and foliage instead of real ones. 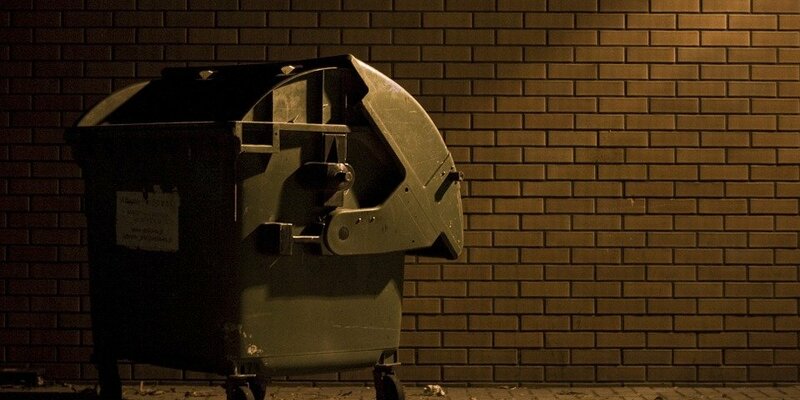 Without a rubbish bin hire service, you would have to hire people to sort the waste. Aside from that, you would also have to make several trips to the tip just to get rid of all the waste. Luckily for you, event waste removal has become easier, thanks to skip bin companies. Whether you’re organising a small or big event, there is a skip bin for you. You can hire a 2m3 skip bin for corporate or family parties. On the other hand, if you’re planning a bigger, public event, there are larger bins that range from 2m3- 6m3. Do you have any other ideas about efficiently managing waste from events? Let us know in the comments below!